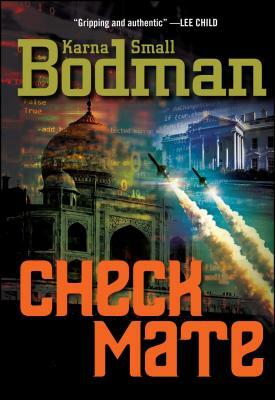 The new, revised story of Checkmate, is the first in The White House National Security Series, and features young scientist, Dr. Cameron Talbot who invents a breakthrough technology to defend against cruise missiles. She needs support from skeptical company officers, funding from a reluctant Congress, and help from Lt. Col. Hunt Daniels, detailed to The White House NSC. With disaster brewing overseas, threats to New Delhi, the Taj Mahal, and to Cameron herself, she and Hunt find themselves enmeshed in terrorist plots and political wrangling at the highest levels.